In the Albanian national selection, which is called “Festivali i Këngës” there were 18 finalists. Among those was Elhaida Dani, who won with the powerful ballad “Diell”, which means “sun” in English with the majority of the available jury votes and televotes. Later on the composer Aldo Shllaku has withdrawn from the contest, without a real substantiation. What a pity, as the Albanians wanted the other song to win. The Albanian broadcaster RTSH has announced without further ado that there will be a new song by other composers. So it’s not the first time this year that a winner has withdrawn, also the German winner has withdrawn and dedicated his victory to the runner up, but for Albania it was the composer, not the performer. The song has been exchanged now and it’s called “I’m Alive”, which has been composed by Duo Zzap und Chris from Kosovo. This is a total different music style as the original one, but internationally the new one would probably shape up better. Elhaida Dani was born in Shkodra, Northern Albania in 1993. She studied the piano in the age of six. She won several festivals, also in Romania and Bulgaria, and the Star Academy in Albania 2009 and the very important Top Fest in 2012. Later on she moved to Italy, where she also took part in “The Voice Italy” in 2013 with 70% of the votes. In that year she released her first single “Baciami e Basta”. By now Elhaida has released three albums and seven singles, has been touring with in Italy with various Italian singers such as Fausto Leali (Italy 1989). The song “I’m Alive” is a smooth and gentle pop song about love. It will be sung in English, which was not always the case with Albanian entries. The beautiful singer has a lot of stage experiences and will take the ESC as next step in her career. With her great voice she will certainly enchant the million TV viewers. It has been the 53rd time of the Festivali i Këngës - the Albanian music festival. This event is also taken as national pre selection for the Albanian songs for Eurovision since Albania joined the ESC in 2004 with a respectable 7th rank in Istanbul with “The image of you” by Anjeza Shahini. Last year in Copenhagen, Hersi could not reach the Grand Final with “One Night’s Anger” and made a 15th place in the Semi Final. So this year it’s the 12th time for Albania in the Eurovision Song Contest in Vienna. Out of 12 participations the Grand Final has been reached six times and a Top10 placing 2 times, the chance for a Top10 position is by 17%. Albanian music is not that well known across the European continent, therefore the Eurovision Song Contest is a great opportunity to get a worldwide audience. 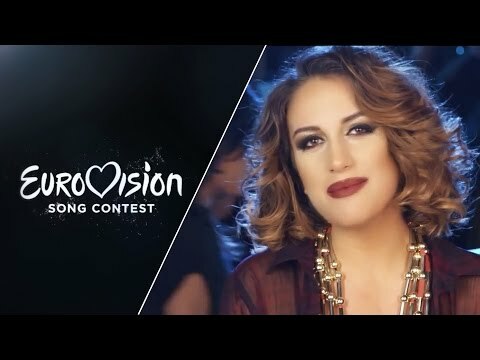 The songs from Albania in the ESC have always preserved the traditional roots with folkloristic elements, even in modern songs there is a traditional part that gives the special Albanian touch. In the Albanian pre selection the songs are normally longer than three minutes, therefore they are shortened to suit the ESC standard and sometimes it will be exchanged completely like this year.